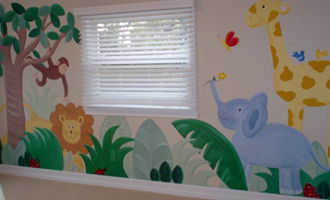 Jungle themes to character work to wall striping & more! Achieve a unique look in any area! Face Painting, Furniture & More! 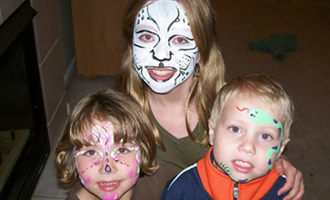 Face painting, henna and is available for birthday parties, school functions, fundraisers, picnics, company promos, special events, art festivals, farmers markets, charity events, restaurants & much more! Available for all budgets and designs range from quick face, cheek, hand, arm, leg, foot, to more full face designs as desired and appropriate for your event. 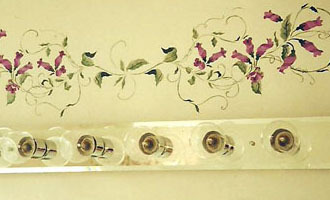 Pregnancy belly painting also available to help commemorate the special time in your life. 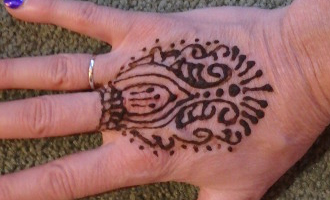 Rachel is now offering henna work for parties & special occasions! 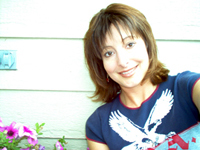 Rachel uses only red, non-toxic, authentic henna paint products. 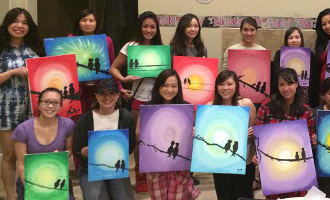 Rachel is happy to teach canvas painting parties at your location! Classes are approximately 2 hours in length and include use of my easels, aprons, paint, brushes, canvases, teaching and fun for all! 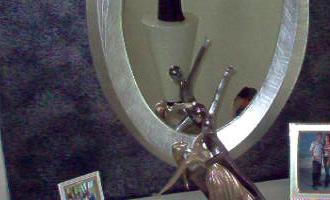 Great for gals/couples nights in, kids/adult birthday parties, team building, fundraising events and more!